I'm always checking in on my emails in between meetings but can never always answer back immediately. What I do like to do after checking in, however, is playing Pyramid Solitaire on my iPad. One of my favorite activities to help me relax along with killing some time includes this game, precisely for its fast turnaround of each round. It is also the perfect mobile game to exercise your brain and keeping you focused. So in today's post, I'll be sharing how to play on the game as well why I love to play this particular game while on the go, or rather, in some cases, while waiting in between meetings. Pyramid Solitaire is the fastest growing title in MobilityWare’s suite of classic card games. I really enjoy that each game takes just 1-2 minutes, making Pyramid Solitaire the perfect game to play on-the-go and in-between various tasks. Not only is the game app free, but the game itself is also quick and easy, and a lot of fun! Players must clear the pyramid by matching pairs of cards that equal 13. The quicker you finish the round, the more points you'll acquire. Simple enough, straight to the point and a great way to focus on something if you do a lot of waiting around. 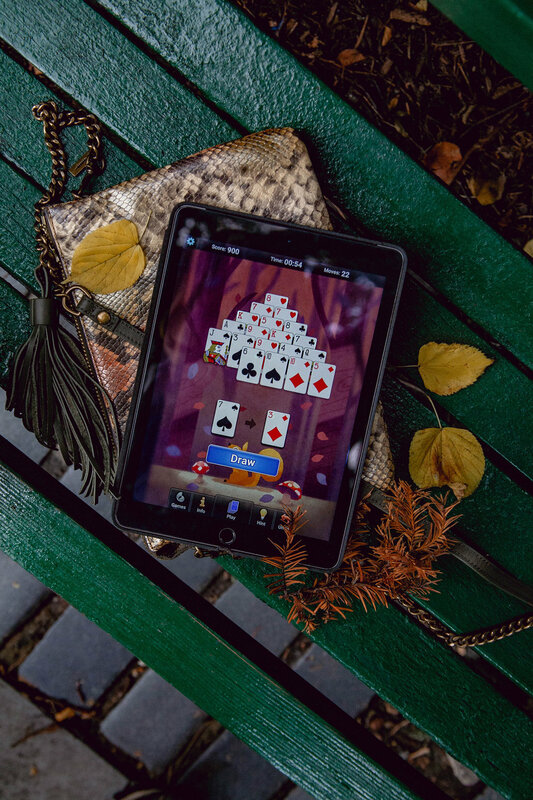 Whether it's waiting at the doctor's office, or a work meeting, or even commuting around the city by bus or train, Pyramid Solitaire is the perfect game for those that are always on-the-go and in between all sorts of activities/meetings/appointments. A free online solitaire card game where the player tries to match pairs of cards with a rank that totals 13. So why not download the game today on the App Store or get it on Google Play. Play the game and decide what you really like about it!